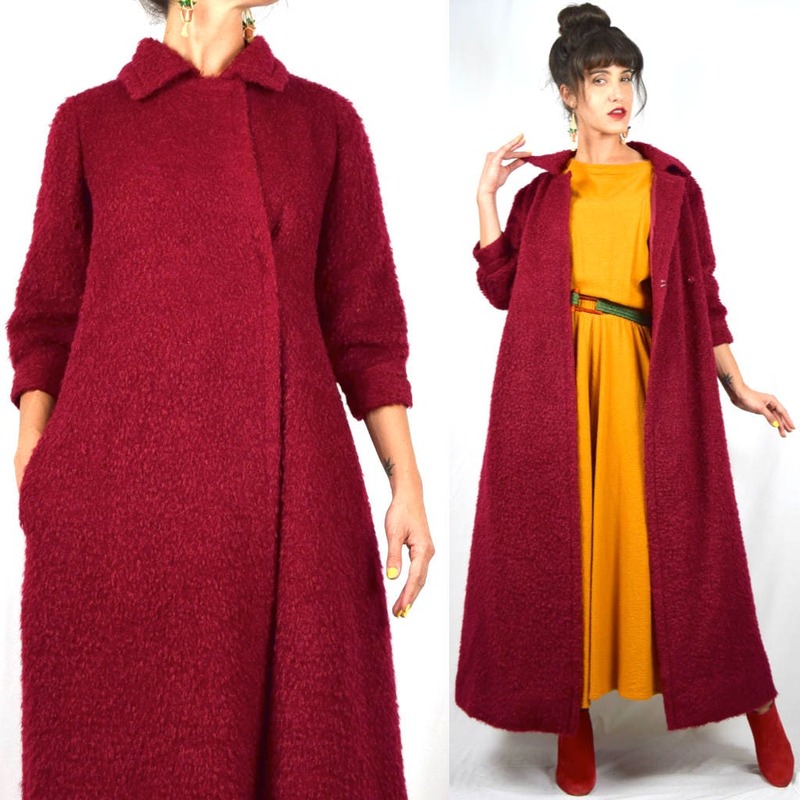 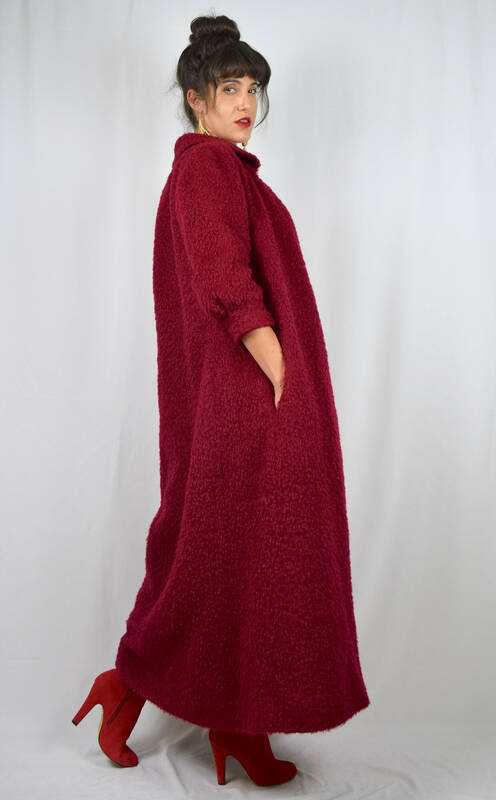 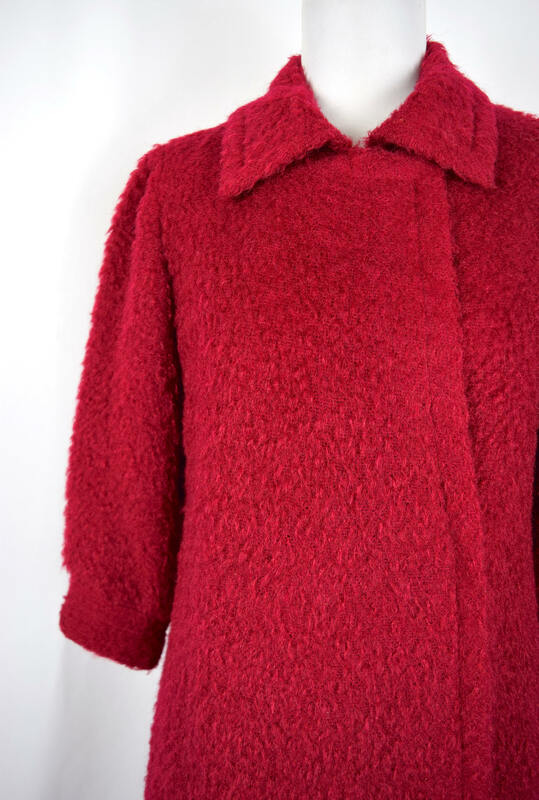 Stunning cranberry nubby textured wool swing coat with 3/4 sleeves, side pockets, and front snap-button closure. 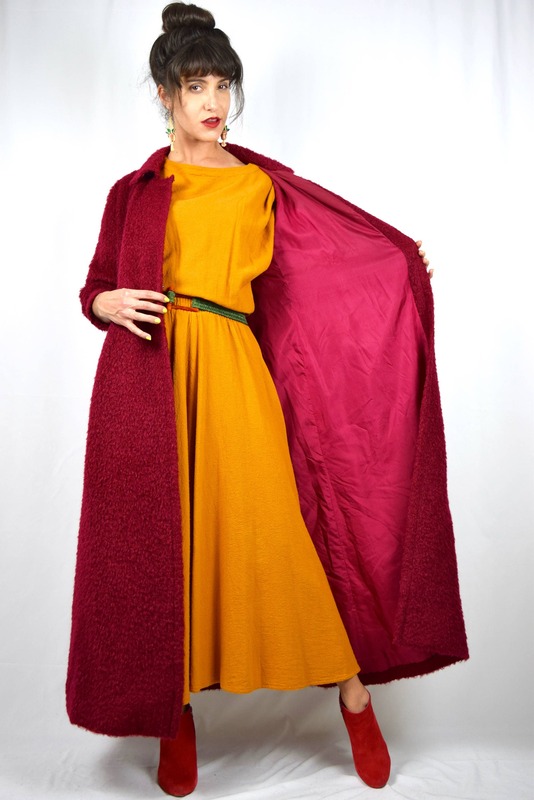 Fully lined in coordinating satin. 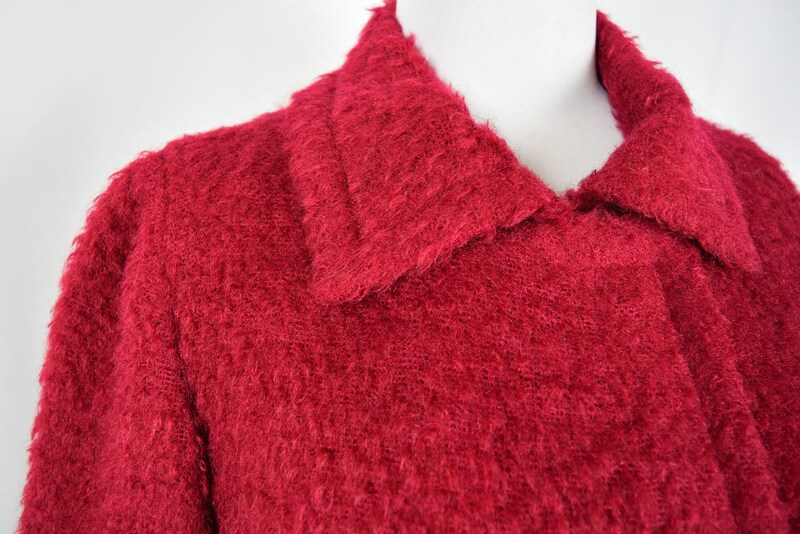 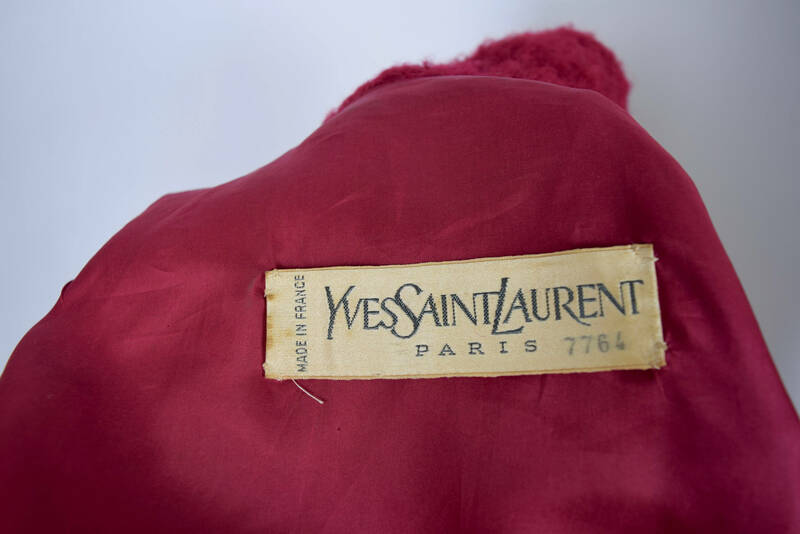 Condition: Mends have been made to the inside lining around either of the armholes, but otherwise, excellent.